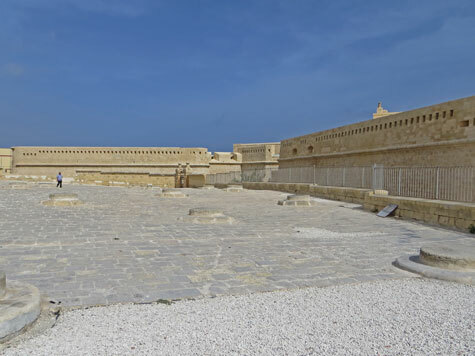 Fort St. Elmo is the massive fortification that guards the entrance to both Grand Harbour and Marsamxett Harbour. It played a key role during the Siege of Malta in 1565. The original fort on this land was built in 1488 during the Aragonese rule. It was rebuilt and expanded over the years. The War Museum is currently located in the historic fort.